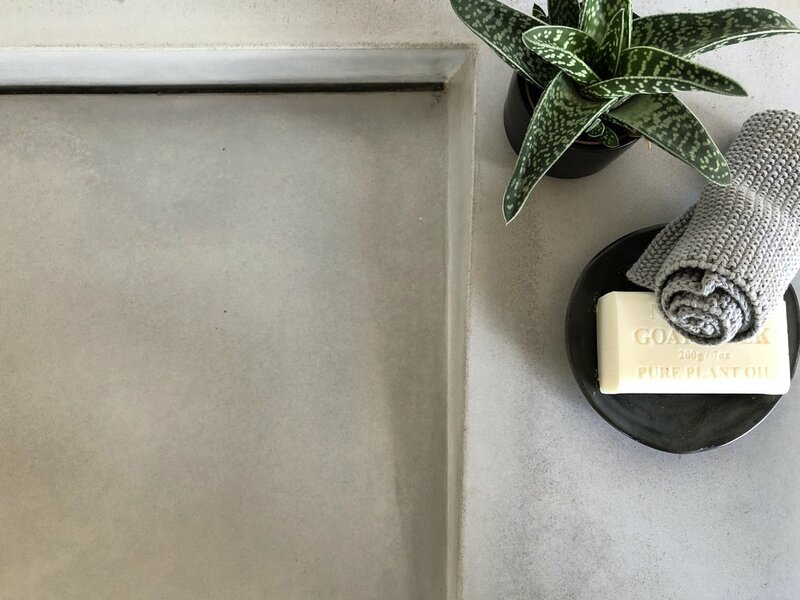 The Lennox is a contemporary and elegant floating timber vanity featuring a bespoke, hand-poured concrete basin & stunning Australian Wormy Chestnut timber. The combination of timber & concrete establishes a sleek yet natural beauty allowing the vanity to become a striking centerpiece for any bathroom. Each timber vanity is designed and made to order to ensure the perfect fit for your space and plumbing. Our vanities are finished with a high performance natural oil and wax which nourishes the timber and protects it from moisture. As with all of our vanities, the internal structures and drawers can be constructed from solid timber, birch ply or melamine (pictured above with birch ply internals).